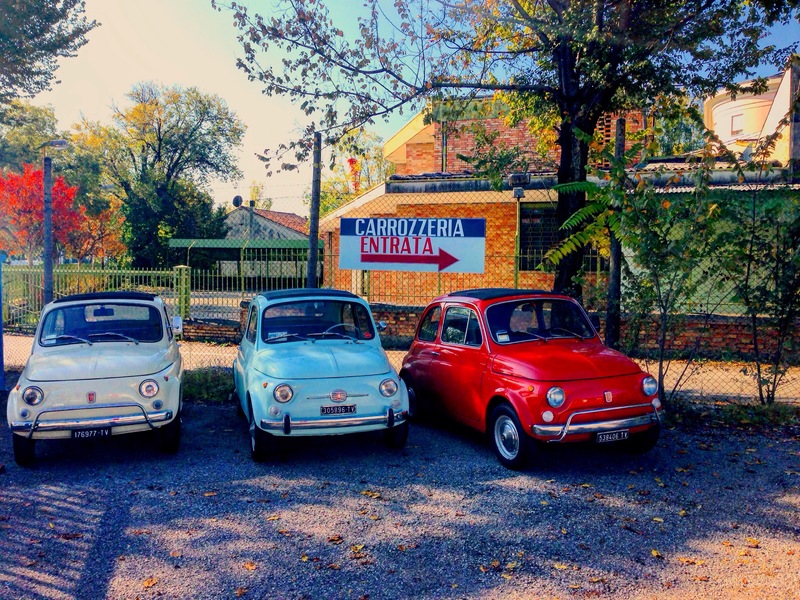 I adore the classic fiat 500.. and every time I see one which is quite often in Treviso, I’ve got to take a photo and so you could imagine my excitement when I was walking home from the gym and found not one nor two but three and all lined up together. Ive got to say, I love all three but the very cherry color is calling my name. Do you have a favorite classic Italian Car? I’d love to know so be sure to tell me in the comment section below. The red one for me too. Very cute!